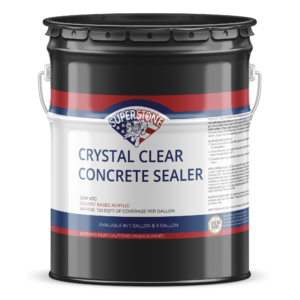 Integral Color – Super Stone, Inc.
Super Stone® Integral Color has stood the test of time for the last 50 years, providing a permanent color to concrete that is uniform and fade-resistant. 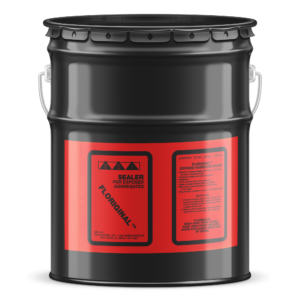 It produces floors and hardscape projects that are beautiful as well as cost effective, with uncompromising workability and limitless finishing characteristics. 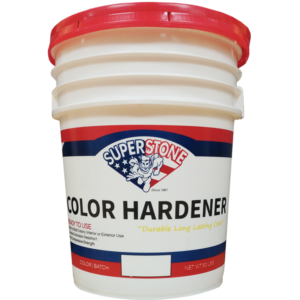 Super Stone® Integral Color provides easy-to-maintain, wear resistant surfaces that are rich with color. 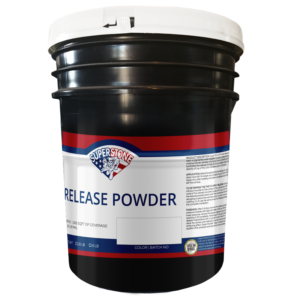 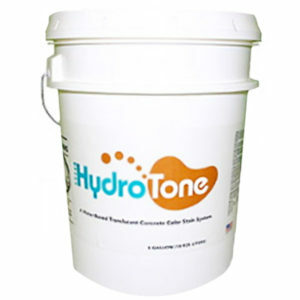 Color the entire batch of concrete with these easy to use per-measured dissolvable bags to be placed directly into the ready-mix truck. 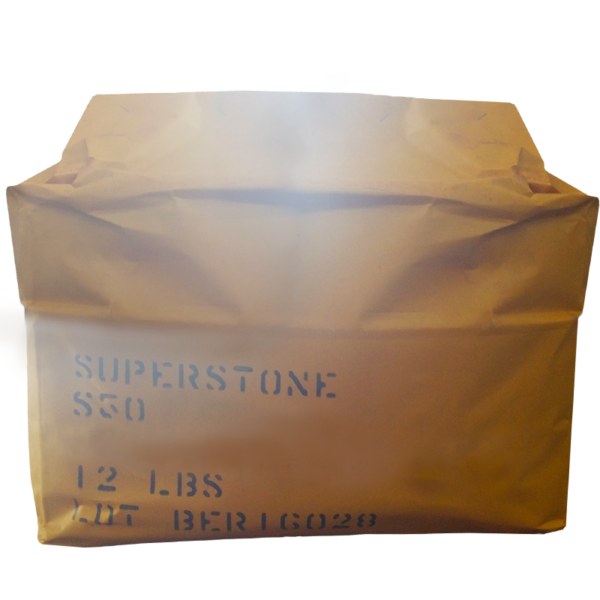 Also, Super Stone® Integral Color can be used indoors when cleanup and mess are of concern using broadcast mediums. 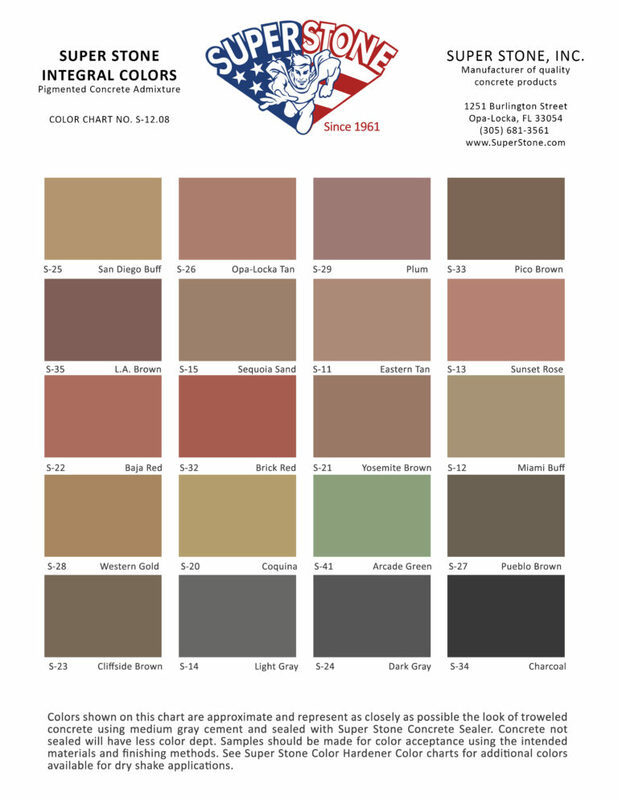 See color chart for full line of color options. 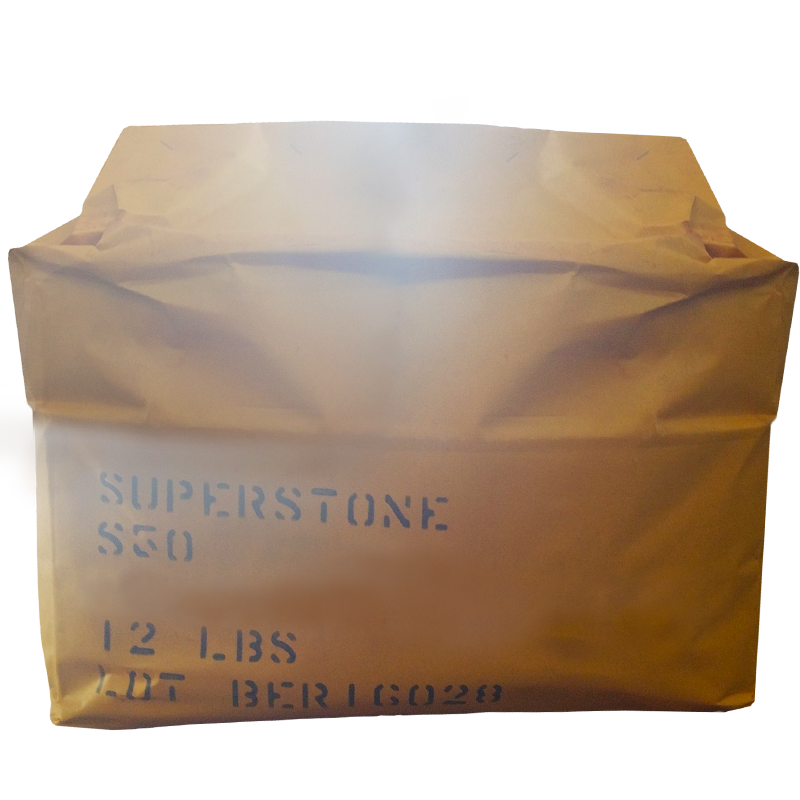 Super Stone® Integral Colors are pre-measured to apply at 1 bag per yard.